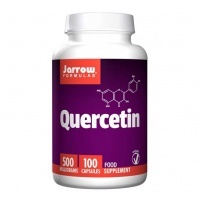 Jarrow Quercetin, a potent and versatile flavonoid and phytonutrient health supplement has become more popular because of its activity to inhibit the release and manufacture of allergic and anti-inflammatory mediators including histamine. Jarrow Quercetin, a potent and versatile flavonoid and phytonutrient has become more popular because of its activity to inhibit the release and manufacture of allergic and anti-inflammatory mediators including histamine. Foods rich in Quercetin include citrus fruits raspberries, apples, leafy green vegetables and beverages such as black and green tea and red wine. 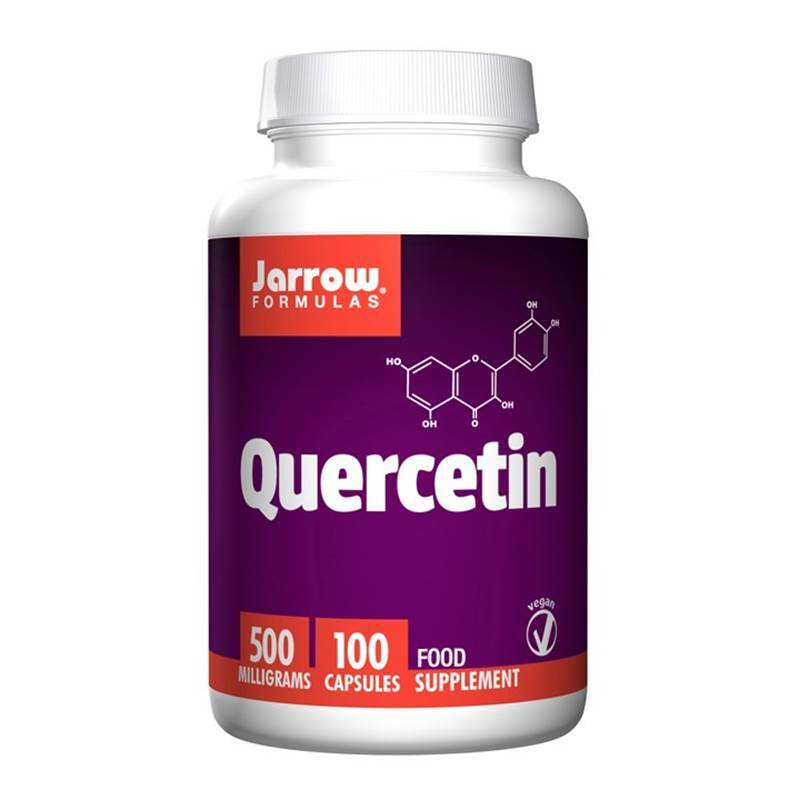 Jarrow Formulas Quercetin contains 500mg Quercetin content per capsule. Ingredients: Bulking Agent: Cellulose. Anti-Caking Agents: Magnesium stearate (vegetable source), Silicon dioxide. Capsule consists of hydroxypropylmethylcellulose. Quercetin.